Stress caused by a traumatic pregnancy and delivery can often override the ability to emotionally cope, leading to psychiatric complications such as post-traumatic stress disorder (PTSD) and post-partum depression (PPD). Suffering a serious illness, combined with an unexpected caesarean section, birth of a premature child, or infant loss, is a heavy burden to bear both physically and psychologically. Such are the findings of several studies, including studies initiated by the Preeclampsia Foundation, which suggest that women who have endured traumatic pregnancies such as severe preeclampsia, eclampsia and HELLP syndrome have a higher incidence of PTSD and PPD than women without these complications. More research is needed to help move this information to clinical practice. Anecdotally, we know that enough of our survivors are psychologically affected that we offer these recommendations based on general trauma recovery practices. Be patient. Recovery is an ongoing process with a different pace for everybody. However, if you are unable to care for your children or basic responsibilities of life, you should seek professional help. Coping mechanisms that may work for you may not work for your spouse or other family members, and vice versa. Healing doesn't mean you will have no pain or bad feelings when thinking about the pregnancy experience, but that you can develop more confidence to be able to cope with your memories and feelings. Understand your pregnancy experience. Communicate with health care providers to understand the medical and emotional aspects of the experience. If necessary, ask to be referred to a qualified counselor. Whether you are dealing with the loss of a child, the loss of your health or the loss of your “sought after” pregnancy experience, mental health professionals can help you recover normal functioning in life skills. 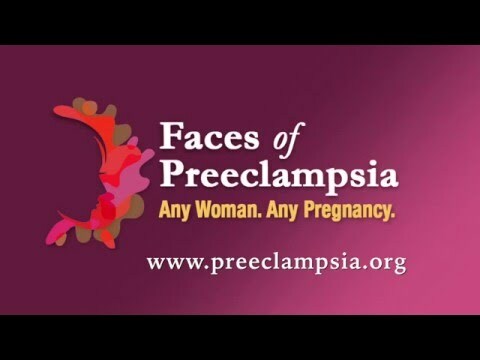 Plus, the Preeclampsia Foundation has great online and print health information resources for you and your family. Stay connected. Research shows that good social support is vital to recovery. Stay connected in particular with your family and friends. You might also consider joining a support community, whether it is signing up for the Foundation’s Community Forum (www.preeclampsia.org/forum) or contacting your local health department or hospital services for a grief support group. Also, don’t forget that if you are in a relationship or married, severe trauma can be challenging to both partners, so be proactive to strengthen that vital relationship. Find a great hobby. Not only does it boost your self-esteem, you will connect with people who share interests that are outside of your pregnancy experience. Find a subject about which you are knowledgeable and passionate. For instance, many women find comfort in the life-affirming aspects of nature: go for walks, start a gardening project, or volunteer at a local park or animal sanctuary. Keep a journal. By writing things down, you can temporarily dissociate yourself from the world and start to chart your road to recovery. Write in it every day, even if it is only to state three good things that have happened that day. Set goals. Start by setting small goals and commit to doing it. Make a list of all the things you used to enjoy and revisit them. Decide which one you are going to focus on and make a small start. Someone close to you can help you be accountable for your progress… or even join you to complete those goals! For more information about PTSD or PPD research, or citations for these recommendations, please email info@preeclampsia.org.